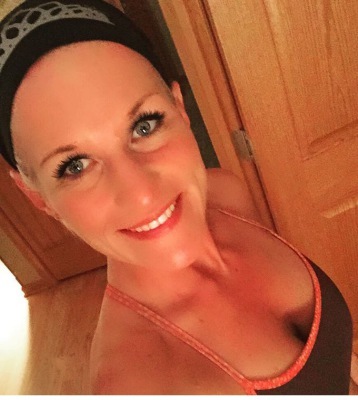 My fitness journey started 8 years ago after giving birth to my twin sons. I woke up one day and decided to go check out the local gym. After gaining 70 pounds (10 of which was actually babies), I needed to get into better shape, not only for myself, but for my three boys. I devoted 30 minutes a day after work to exercise. Slowly it started coming off. I wanted to take a new challange, it was in my blood. In 2013 I signed up for theMadison Ironman Triathlon. I spent a year training my body, I overcame my fear of the open water, I rode many miles, and in 2014 I crossed the Ironman Wisconsin finishline. I knew at that point I wanted to help people achieve their goals. I wanted them to feel what I had felt that day after crossing the line. So, I decided to get certified in Personal Training. It took me a full year to finish my class through the International Sports Sciences Association. Now, I knew all along I didn't want to work for a box gym, I wanted to design workouts for the busy moms, dads, and professionals who may not have the time to spend in the gym. I wanted to bring my style of training to their living rooms. I also did not want my clients to have to spend a fortune achieving a goal. So I decided to make my prices affordable, and my workouts challenging so anyone could afford the luxury of a trainer, and be able to follow their DREAMS, their GOALS, their PASSIONS! *Tabata is 5 times more effective than traditional cardio. It would take you 5 times longer to burn the same amount of calories you burn in a 4 minute high intensity Tabata. 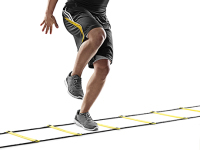 * Tabata raises your heart rate immediately which causes the heart to pump fast and your metabolism to jump. * You can preform Tabatas in any size area in your home, or studio apartment. * Time Saving- Here is the best part. You can perform a full tabata workout in less than 1 hour. And the routines are never the same, so it takes the BORING out of working out!